I received complimentary #bouquetsonautopilot for this post. All opinions are my own. For the past three years when February approaches, I think to myself, “Poor Holden!” February 4th is my birthday, followed by Valentine’s Day, and then our wedding anniversary on the 22nd. I’d never asked for flowers for each occasion, because the cost would be exorbitant. Until we fortuitously discovered The Flower of the Week at one of my work events this past month. 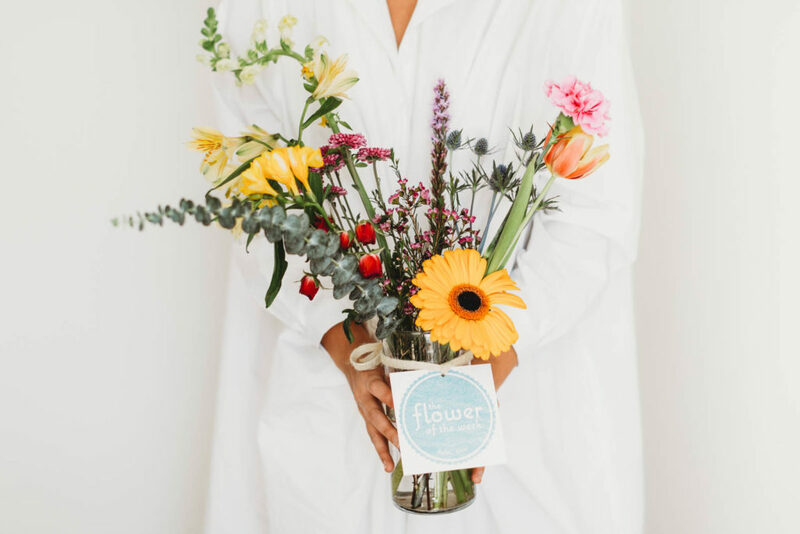 The Flower of the Week is a Dallas floral delivery service with a twist: their premium quality bouquets can be purchased for one-time delivery or weekly/bi-weekly/monthly subscription. The price for each bouquet is always only $30, delivery included! 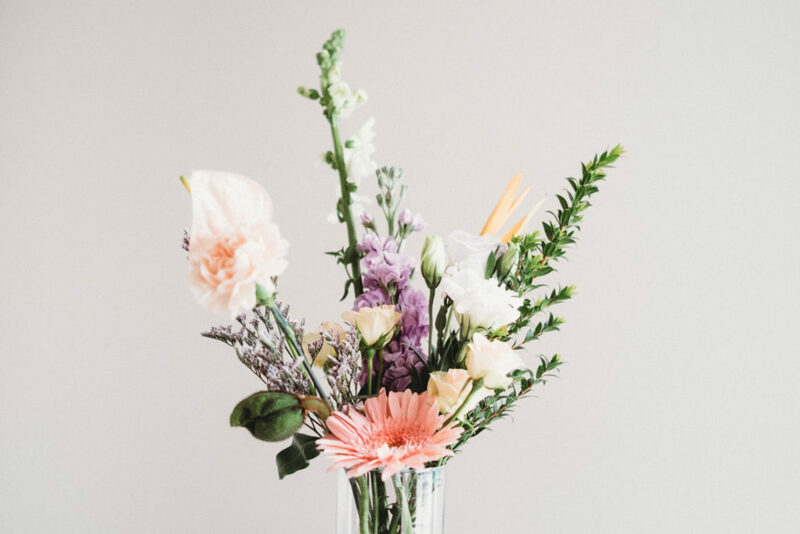 They keep costs down by purchasing flowers during their peak season (which ensures the best quality flower) and focusing delivery service on the Dallas area only. I love the minimal-inspired modern bouquets. Their whole concept goes well with my essentialist lifestyle: they only offer one mixed bouquet and one single-variety bouquet per week. Pricing info for floral arrangement delivery is below. One-time bouquet deliveries are available for same-day and future date delivery. DELIVERY TODAY – $30 – For delivery by 4:30 PM, order by Noon. For delivery by 8:00 PM, order by 4:00 PM. FUTURE DELIVERY – $30 – For any delivery not needed by today. 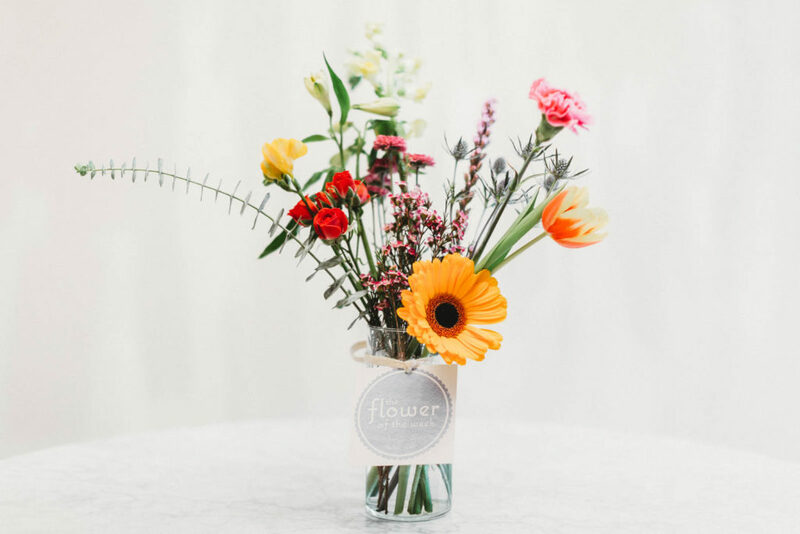 SUBSCRIPTION – $30 per week – For flower delivery at a recurring interval of your choice: once a week, twice a month, or once a month. Skip, pause, or cancel your subscription at any time. 1 MONTH GIFT – $110 – Be on their mind everyday of the month for 4 weeks. Give the gift of flowers. I’ve become spoiled waking up to beautiful fresh flowers each morning. It’s one of the first things that I see when I get home from work every day. The bouquets are so high-quality, that most of the flowers in one arrangement are still thriving by the time the next one is delivered. I’m grateful to The Flower of the Week for making this luxury an affordable service. Treat yo self! Visit The Flower of the Week to place your order today.